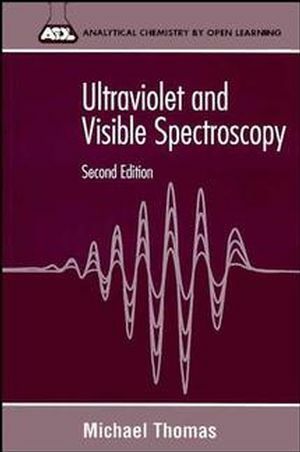 This book provides a low-level introduction to the fundamentals and practical aspects of ultraviolet/visible spectroscopy, the most commonly used and versatile techniques in analytical chemistry. The second edition includes chapters on the increasingly used new derivative techniques, as well as new examples and applications taken from industry and the academic literature. Easily accesible to the novice. Includes self-assessment questions with responses and numerous examples. Michael J. K. Thomas and David J. Ando are the authors of Ultraviolet and Visible Spectroscopy: Analytical Chemistry by Open Learning, 2nd Edition, published by Wiley.